I’m Part of Love and Capes Now! 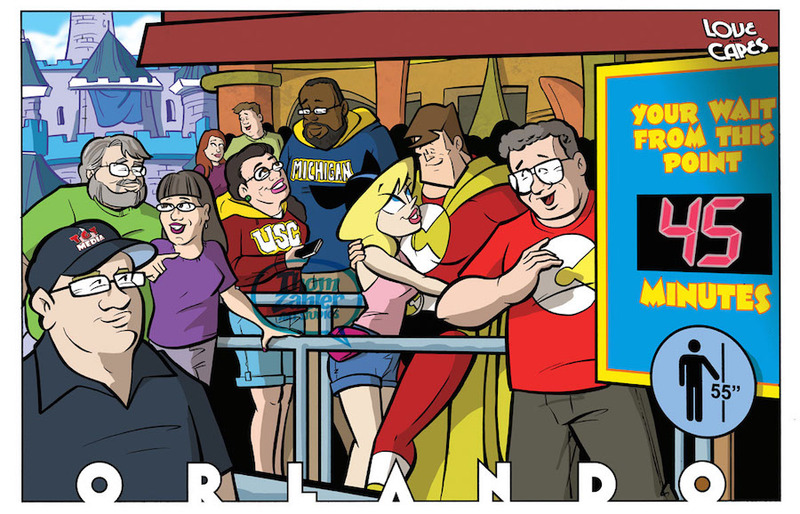 I’m thrilled to be part of the Love and Capes universe, since it’s one of my favorite comics going right now, never failing to make me smile. And since KC and I spent our tenth anniversary at the park that shall not be named, I couldn’t pass up a combination of both those fun things. A new Love and Capes miniseries starts later this year, in case you wanted a jumping-on point. In the meantime, Thom will be appearing at MegaCon next weekend, where he will have copies of this print for sale as well as books and commission slots.